Our team of engineers possesses hands on experience, skill and thorough understanding of engineering dynamics and fluid physics. For any CFD analysis, understanding of meshing requirement and quality are very instrumental in determining its success. Our CFD team use fluid simulation strategies, techniques and dedicated software that are best suited for your industrial applications. At Equinox Global we offer an array of engineering solutions such as performance calculation, design validation, evaluating operating conditions and more with the advantage of optimum solutions at reduced downtime. Pipe stress analysis evaluates the effect of pressure, static and dynamic loads on piping. 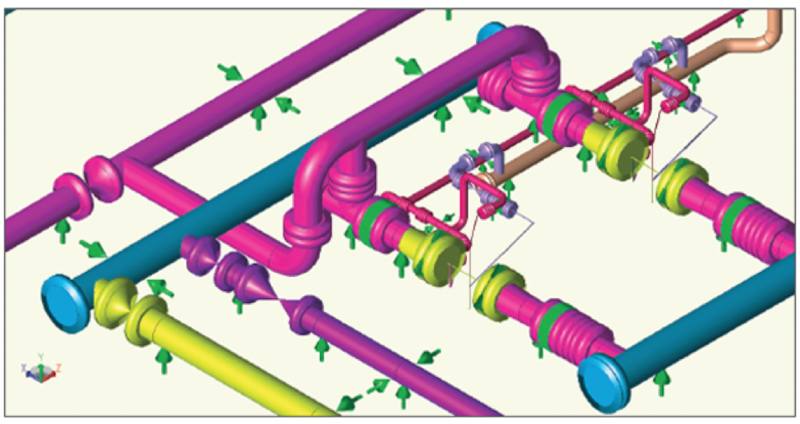 At Equinox Global we model the piping systems, connected equipment and other process equipment connected to the system. To this model, various static and dynamic loads are applied. The results of all such effects are then assessed and checked against industry standards to ensure they are within the acceptable limits set forth by such standards. Once again at Equinox Global we have hands on experience and the right tools to perform Stress Analysis. The extent of surge should be evaluated for all hydraulic systems so that system failures and leakage can be avoided. Our team of hydraulic engineers is highly experienced in surge analysis and modeling. Surge pressures are produced in a pipeline whenever there is a sudden change in flow which can cause a variety of problems such as high / low pressure, damage to equipment/pipeline, line bursting. A typical surge analysis would evaluate the system, identify the primary reason behind surge and select the preferred mitigation recommendation. At Equinox Global, our team of experienced hydraulic engineers is equipped with dedicated software; so that we ensure our customer’s requirements are fulfilled to the highest standards. It is sometimes necessary to analyze whether thermal radiation will cause flare to spread from one area to another or the extent of protection required for nearby facilities. Equinox Global has the engineering capability to study heat radiations, validate these scenarios and offer recommendations and sufficient measures to mitigate the risk of an unlikely far spread consequence. Our engineering staff is complemented with dedicated software for such studies which are proven to offer accurate solutions in a cost effective and economical manner. 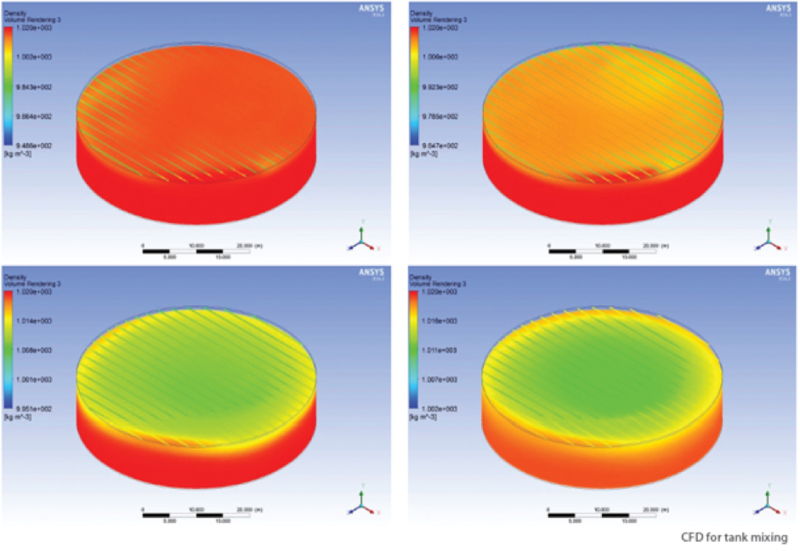 Finite Element Analysis is a unique method to evaluate and analyze complex structural problems. May your requirement be analyzing various designs, optimizing designs, determining whether the designs meet with the standards or even to analyze failure of components, our team of experts can offer you with the right solutions. We carry out design review and appraisal in line with applicable codes, specifications and standards. At Equinox Global, our team is capable of carrying out Design Integrity Studies and Residual Engineering to ensure the design criteria across all major disciplines are addressed.